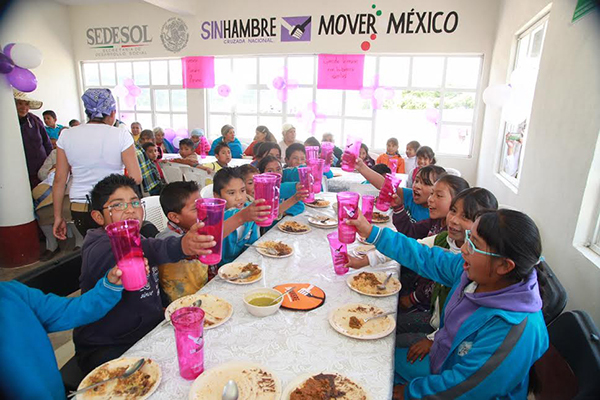 …that in Mexico*, the community canteens program (Programa de Comedores Comunitarios) aims to improve the nutritional status of children from the ages of 0 to 11, pregnant women and infants, persons with disabilities and seniors over the age of 65? This social program seeks to promote a culture of healthy eating habits and also contributes to fulfill the human right to adequate food. The community canteens (video / infograph) are inclusive places where family and social interaction, healthy coexistence, communication and participation are fostered as basic attributes of social cohesion. The government equips these canteens, subsidizes the provisions and also imparts training and advice to the personnel. Volunteer cooks serve the community by preparing the food, and customers pay 10 pesos for each meal. Currently there are over 10,000 community canteens in operation throughout the country, benefiting more than 1 million people. Each community canteen benefits an average of 110 persons who receive two meals a day with the help of more than 60,000 volunteers. *Information taken from the National Report of Mexico presented in January 2017. The full report can be read here. 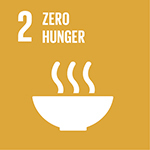 To encourage the joint efforts of the public and private sectors, civil society, and other social stakeholders to strengthen strategies for food and nutrition, specifically child nutrition, as an integral element of health in fighting poverty, hunger, and inequality.